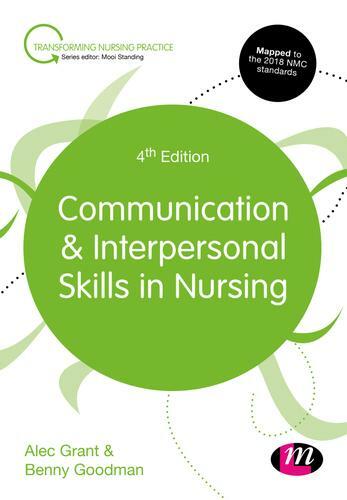 The new edition of this well regarded book introduces the underpinning theory and concepts required for the development of first class communication and interpersonal skills in nursing. By providing a simple to read overview of the central topics, students are able to quickly gain a solid, evidence-based grounding in the subject. Topics covered include: empathy; building therapeutic relationships; using a variety of communication methods; compassion and dignity; communicating in different environments; and culture and diversity issues. Three new chapters have been added that point readers towards further ways of approaching their communication skills that are less model and technique driven and focusing more on therapeutic considerations, as well as looking at the politics of communication.